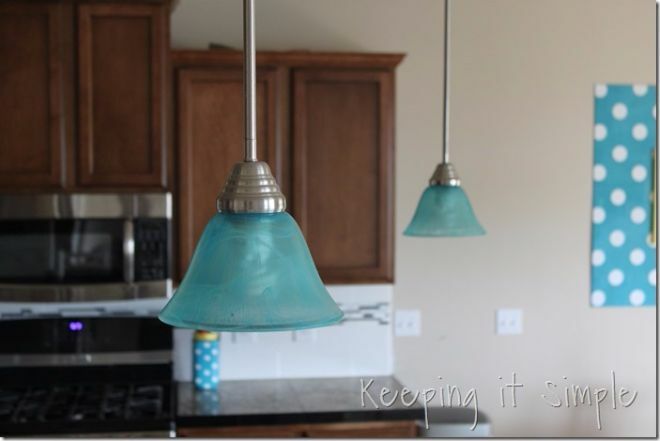 Kaysi was tired of the boring pendant lights in her kitchen; they were the same lights and shades that everyone on her block had, and she was ready for some change. She found an amazing way to turn the "generic" shades into beautiful accent pieces for her kitchen -- and because she is an expert at Keeping It Simple, she didn't even have to go shopping for the things she needed to do it! Only two things are needed: a sealant and a dye. 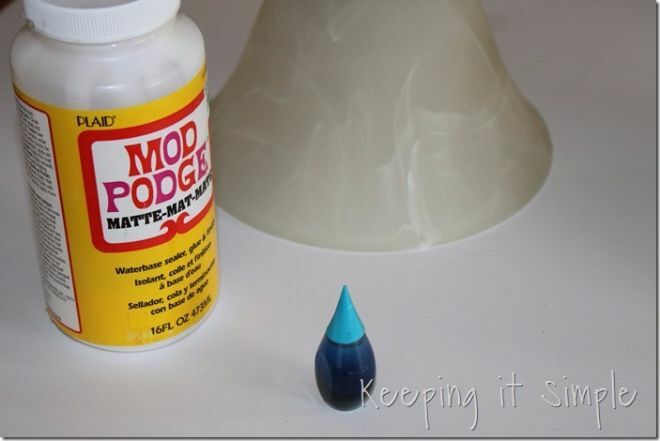 For sealant, Mod Podge works beautifully. For dye, Kaysi has used both food coloring and Rit Dye. She notes that both are effective, but food coloring can fade over time when exposed to the warmth and light generated by light bulbs, and may not provide as many color options as Rit Dye. 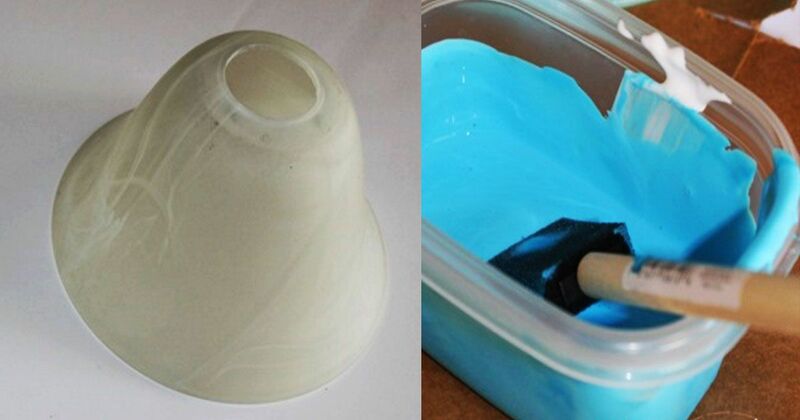 Simply mix the sealant and dye to the desired color, and paint onto the glass. Visit Keeping It Simple for full instructions, and to see the amazing pair of shades that Kaysi crafted just for the holidays! 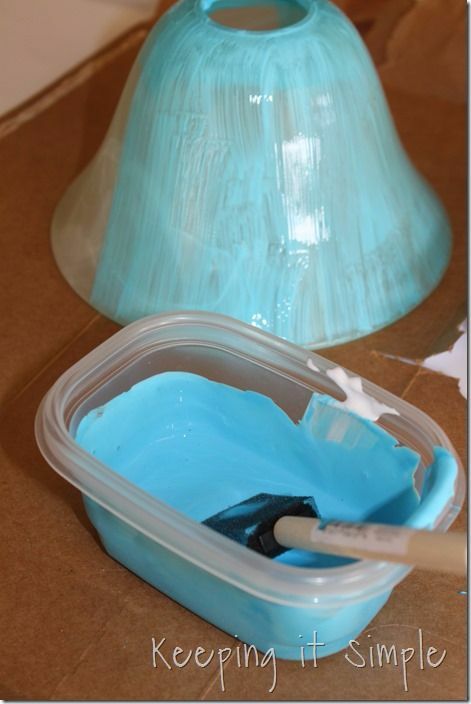 Don't have pendant lights in your home to paint? No worries -- you can make your own! Some amazing pendants have been crafted from recycled materials, so you can be creative while helping the earth and lighting it up, all at the same time. Try using old exhaust fans, bamboo strips from old Roman shades, or an unused globe for a personalized touch. Colorful pendants can also be crafted from yarn, adding a touch of whimsy to your lighting. Whether you are dressing up pendants you already own, or are purchasing a pendant kit from a home improvement store, there are many different ways to make sure that no one else on the block has lighting like yours. Light up someone's life by sharing these ideas!